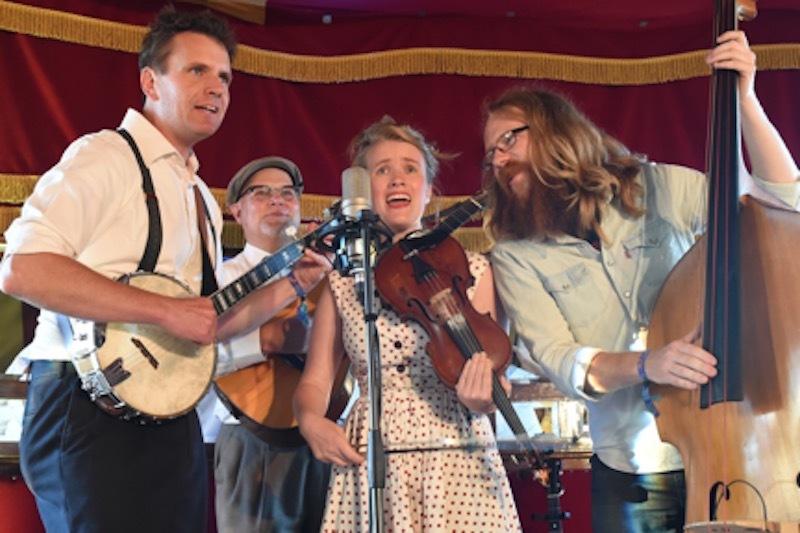 From the shadows of Black Mountain in the ACT, the Black Mountain String Band is a celebration of string-band music, where fiddles and voices harmonise with banjo, guitar and double bass. This superb group shares tunes and songs that draw deep from the well of old-time tradition and from other regions and ethnicities, while adding their distinctive original touch. Sunday 9 July – Lomond Hotel, East Brunswick from 5.30pm. Pablo Shopen, who grew up playing fiddle with his family in a house full of music from Appalachia to Buenos Aires. He has mastered many fiddle and banjo styles. Donal Baylor has been the fiddler in Bluegrass Parkway for the past 16 years. The Black Mountain String Band gives him a chance to reveal some of his other talents. Jacqueline Bradley is a talented singer, fiddle and banjo player with a love for music. She has recorded in a range of styles, from Irish music to blues to alt country. Matt Nightingale is a very in-demand bass player for all manner of styles. He keeps a solid beat and contributes great vocals as well.